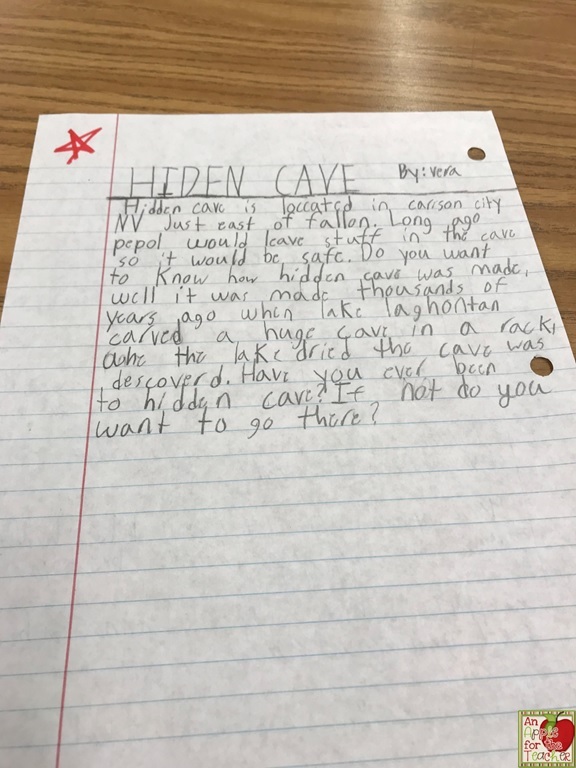 Do you have students who consistently make the same writing errors? Do they forget to capitalize the beginning of their sentences? Do they forget to capitalize proper nouns? Do they leave out ending punctuation? Do they misspell common words such as who, because, too, there, etc? Do they forget to indent paragraphs? Many of these skills are skills they have been working on since early elementary, yet the mistakes keep happening? Why? Because we allow them to keep doing it! I post the anchor chart above on the wall and give my students a similar version to keep in their binders. 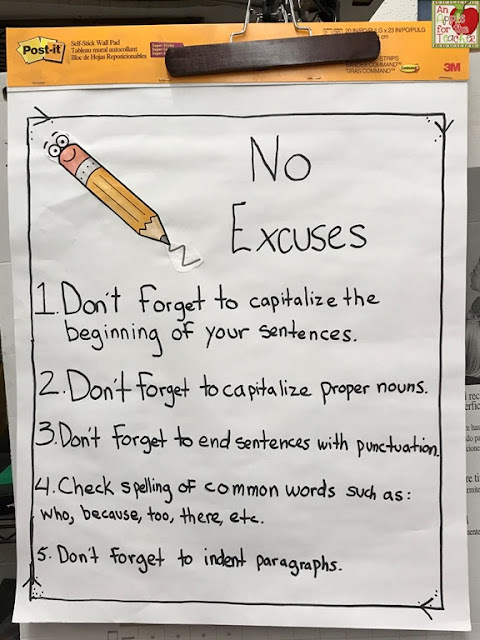 I teach a mini-lesson about our No-Excuses list. 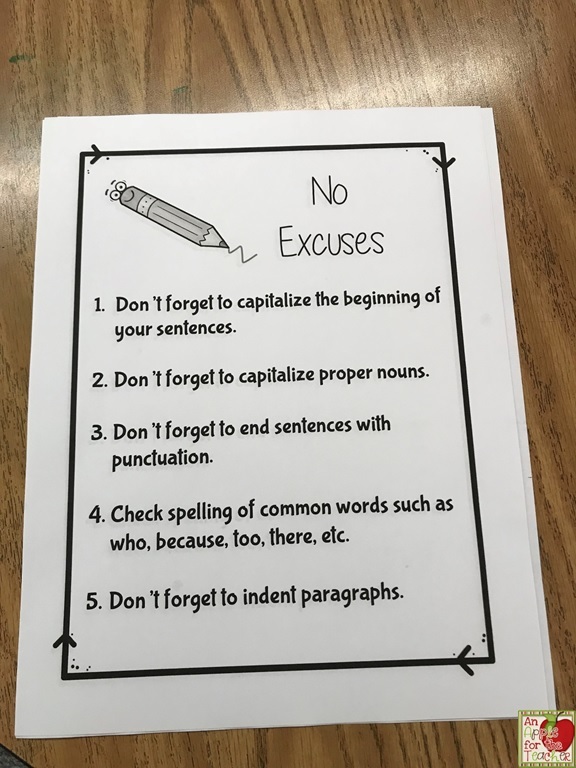 I remind them that the items on this list are all things that they have learned in prior grades, so they are no excuses for them not showing these skills in their writing. I explain that when I see these types of errors in their assignment, I will draw a red star at the top of the paper to let them know that they need to go back and proofread their paper using the no excuses list. At the beginning of the year I draw A LOT of red stars on their papers, but by the end of the year I hardly draw any at all! If you would like to grab an editable version of the student no excuses list you can get it FREE at my Teachers pay Teachers store here. 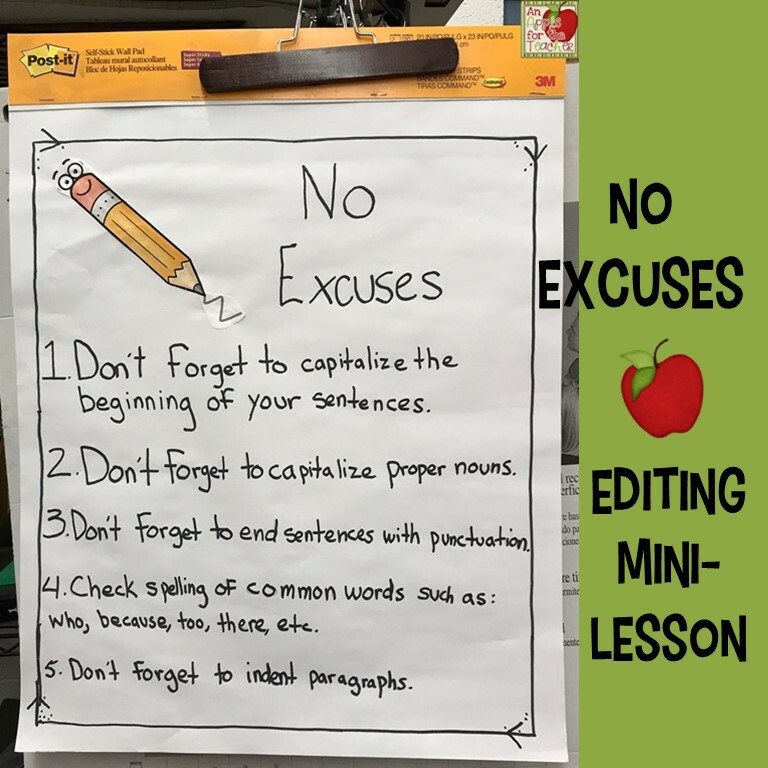 If you do decide to use this No Excuses List, I would love to see pictures! Please email me at kellys3ps@sbcglobal.net or tag me on Instagram, Facebook, or Twitter!